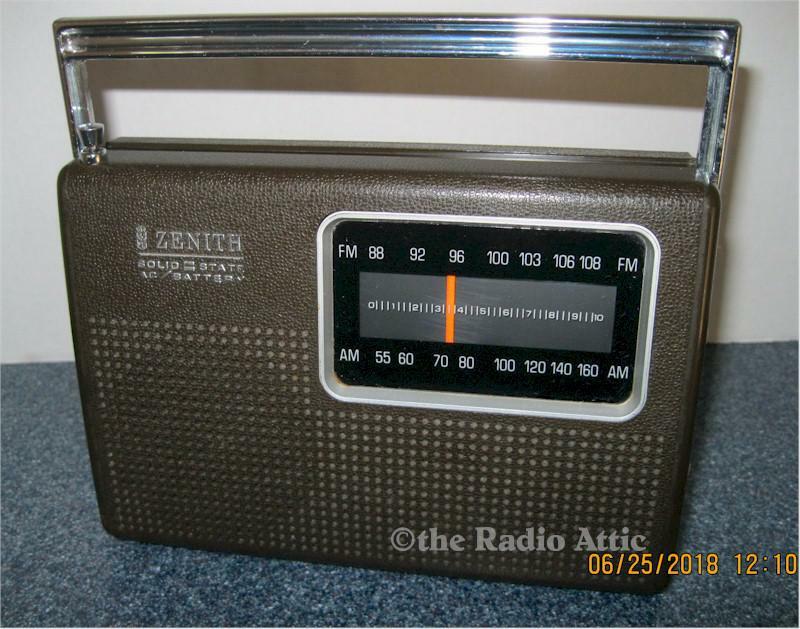 Vintage 1975 Zenith Model RF-42 ten-transistor AM/FM radio with dual power capability. DC with four "AA" batteries (not included) or AC with power cord, included. This radio plays good on both bands. The audio is clear, and goes to full volume. There is one very small chip in lower side. You have to look real hard to find it. This radio has been cleaned inside, and out, and checked. Shipping: Flat rate $10.00 Domestic addresses only. You are visitor number 770 to this page.